THE BUILDING OF the new Central Mental Hospital in Portrane could begin by the end of next year. 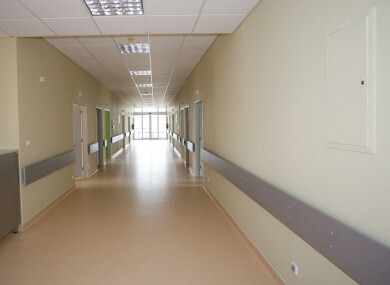 The Department of Health gave notice that they intend to make an application to An Bord Pleanála this week for the new facility that will replace the Central Mental Hospital in Dundrum. The Minister of State with responsibility for Mental Health, Kathleen Lynch today welcomed the lodging of a Strategic Infrastructure Development (SID) planning application to An Bord Pleanála for the new National Forensic Mental Health Service (NFMHS) Hospital, stating that it is the “first important step” in building a new modern facility. The new facility is to be built on the lands of St Ita’s Hospital. The NFMHS Hospital will be the main centre in the state that will provide psychiatric treatment in conditions of high and medium security, including acute, medium and long term psychiatric care. The hospital will have 170 rooms will consist of a number of shared facilities – 130 rooms for the National Forensic Hospital as well as a 10 bedroom Forensic Child and Adolescent Mental Health Unit. There will also be a 30 bedroom rehabilitation unit on campus. The plan is that there will be eight single storey buildings on campus as well as one two storey building. A statement from the Department of Health said the proposed capital project, divided into two phases, will complement the €90 million made available since 2012 under the Programme for Government to underpin around 1,100 new staff to facilitate a move away from traditional institutional care towards community based services. The provision of a new forensic hospital is a key recommendation of A Vision for Change and is a vital part of the overall reforms in the Mental Health sector. I am confident that the project will proceed through the planning process and that building can commence by the end of 2015. Under the SID process, there is a 7 week period for submissions from interested parties. An Bórd Pleanala has an 18 week objective from the last day of submissions. It is envisaged that a decision would be made on whether to grant or refuse permission in the first half of next year. However, if more information or changes to the application are after submissions, then a new application will have to be submitted, delaying any work. Email “Building of new Central Mental Hospital in Portrane may begin next year”. Feedback on “Building of new Central Mental Hospital in Portrane may begin next year”.